Blogging is important for authors. Lots of people consider it almost mandatory if you take your publishing career seriously. And so hordes of writers have started blogs, and some have gone on to great success building robust platforms that allow them to communicate with fans, announce new books or other products or services, and stay in constant communication with readers. There are lots of reasons that blogs fail. Lack of traffic is the most common, but often the people who come to the blog just never engage. And it’s that engagement that should be our guide when we’re creating basic pages on our blog. Nowhere is this more urgent than on your About page. You might not think that your About page is a big deal. Many bloggers appear to have put one together when they first launched their blog and then promptly forgotten about it. Blogs are very personal. That personal quality is most often expressed through the content you post. As writers, it’s shown in our point of view, our personal writing style, by the topics we choose to cover, and those we don’t pay attention to. Sure, visitors come to your blog for information, education, or entertainment. But what makes them stay once they get there? The best way for most bloggers to make their blogs more “sticky” destinations that readers look forward to visiting, and where they return time and time again, is to never forget that personal element. This might mean something as simple as having your photo on the blog. Sounds easy, right? You might be surprised how many blogs just don’t have a photo of the blogger. When I like your content, I want to know more… about you. That’s a pretty human reaction. Nothing attracts us as much as another human, especially a face. We’re hard-wired to respond to people who are looking at us. So it’s just good sense to have a photo of yourself on your About page. But here’s the reason I think these About pages get it completely wrong: they are written from the blogger’s point of view. Why? They think the About page is about them. If you’re blogging as a way to connect to readers, build a base of raving fans, or attract qualified leads for a business, your blog needs to focus on your readers. It’s your readers’ needs that bring them to your site, so it’s your readers’ needs you should be thinking about when you write your About page. But seriously, why would we? Even though I may have loved your article, what do I care about waterskiing or caramel apples? Do they have anything to do with why I came here, or the subject you’re writing about? Anyone intrigued by your writing or wanting to know more about you as an author or a blogger is going to go to the About page first. I do that, don’t you? If all they find is you raving about what movies you like or how cute your nephew is, you might actually drive people away. Instead, think about rewriting your About page so it actually works on your behalf. Make it into a story or an article. Write your About page as if you are writing a blog post, one that you hope will be a big hit with readers. I’m going to bet that the blog posts on your site that are the most popular are the ones that have useful information for readers, or such a compelling story you just can’t stop reading. Your About page should be just like that: include either useful information for readers or a cracking good storyline. All this isn’t to say that you don’t talk about yourself on your About page, but the point of view you take makes all the difference. Tell us why your degree in basketry makes you uniquely positioned to help readers with their basket-weaving problems. The real purpose of your About page is to foster engagement with your readers while letting them know what kind of person you are, your own very human background. This is your chance to create a community of interest with visitors, to speak to their concerns, all while you appear to be talking about yourself. “This is where I’m coming from, and why that’s helpful to you,” might be one way to look at it. Ask yourself how well you know your readers. Can you put yourself in their shoes and understand why they might be interested in you, your subject, your solutions, your articles? That’s critical. Remember, we all act from a “what’s in it for me?” mentality, whether we realize it or not. Your About page should address that question directly. Write from that knowledge, and speak to your readers like you’re sitting across the table at a coffee shop. Like they’ve asked you how you know all the stuff you’re sharing with them, but behind that question you know that their real interest is how they can become more like you in some way. No matter what subject you write about, find a way to connect all that “about me” information to the reasons that readers visit your blog in the first place. Michael Hyatt’s About Page is an outstanding example of writing for your readers and anticipating their needs. Joanna Penn’s About Page features a video tour of her site, and a lot of reader-centric content. David Gaughran’s About Page offers a large assortment of free content as an introduction to his various books. Mick Rooney’s About Page takes an editorial approach, and includes lots of frequently asked questions. Kimberly Grabas’ About Page takes a direct approach, speaking right to the needs of the reader in an engaging way. Photo: bigstockphoto.com. Originally Published by CreateSpace as It’s All About You – Or Is It? Perfect timing. I’m relaunching my blog in February and was just in the process of rewriting my about page. thanks for the great imput especially with the examples. Completely rewritten mine after reading that so thank you. It was the traditional “born in England, 3 kids, single” type page but hopefully now it is more about them (my readers) than me. The most important point i got from my experience in blogging is that you are writing for human not for search engines or algorithms therefore you just focus on human’s needs. Your all shared points are very informative to learn more and more. Correction: if my humorous voice is nothing like my literary voice, why am I wasting time on a humor blog? Excellent advice, Joel! This reinforces what I had already suspected and makes me want to tweak my secondary blog about pages more. Good blog, Joel. You’ve convinced me to get personal with my About Margaret C. Murray page. Right now it reads like a bio blurb from a traditional novel, AKA stripped of everything up close and personal. Thank you! Hi Margaret. Yes, that’s how they usually start out, I think. As Viv wrote above, it often takes a while before you really find out what your blog is all about, and it always pays to revisit your About page. Good luck! Thank you Sir!. For such a valuable content.Now I will work on About Me page on my blog I have just started blogging.Please keep posting we are waiting for the next post. I rewrote my About page a year or two after starting my blog; I’d not had the faintest idea why I was blogging to start with. After a year or so, I had a better feel for it. Mine is a very personal blog anyway, touching on the experiences of depression, anxiety and a philosophical approach to living with those issues. I never expected that so many folks would come to read and keep coming back. I must be doing something right, I guess. The page I go to next after reading a blog I liked…who is this…where are they coming from. I absolutely love this post, Joel. Kudos to you. I recently revamped my About page and it’s different than the examples you show here but I think it works. I’m trying to do more storytelling through my content marketing so that’s the “formula” I used for the About page. I may find that it doesn’t work …. I guess in our next session I’ll have you look at it so you can tell me how to improve it. Anway, I just wanted to say that I love this post and I hope you have a lovely weekend. See you at the next BAIPA meeting! Frances, I think your About page is wonderful, it’s engaging and communicates who you are and where you’re coming from, both personally and professionally. I really liked the way you integrated so many visuals into the page, that’s a great idea. Joel: Thanks so much for checking it. Wow! I’m grateful for your input. 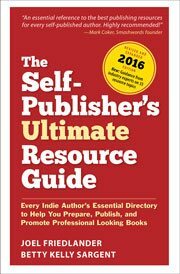 Thanks for including Your Writer Platform on your list of resources, Joel! I based my About page, in part, on the great advice of Derek Halpern (Social Triggers). It seems like Derek has analyzed some many of these elements, he’s a great resource. I was impressed with how you applied lessons from copywriting to telling your story on your About page, so I knew others would appreciate it. Thanks for the shout-out, Joel. Great post. Thanks, Michael, you set the bar high on this one with your own About page. Very helpful article. The examples were a great addition. Thanks. What a thump-on-the-side-of-the-head-what-was-I-thinking article! Directly after reading the first paragraph I went ahead and re-blogged it, then finished reading. Should be required reading for anyone with a blog, and now I’m off to re-do my about page, thank you very much. Good luck, and thanks for the link, Thomas. This should definitely be part of any bloggers basic training. Nice post Joel. About page is as important as your any blog post. Most of the times we focus a lot on blog post content, but rarely cares about “About” page, which affects the conversion rate for your website. Great post and always important to remember. Michael Margolis at http://GetStoried.com has an absolutely fabulous approach to the dreaded About page. He offers a free on-demand webinar that is so good I’ve watched it three times and took notes every time. I refer everyone to it, including my clients. There’s a gentle pitch at the end for his full program which is also good but really not necessary if you get enough from the free webinar. Managing an About page and all the profiles we all have across the web is something we should probably put on a monthly or quarterly maintenance list so they’re all up to date. Winnie, thanks for the link. It certainly looks like Michael has taken this whole idea to a new level, and I love the idea that your bio is the new resume. Good stuff. I was super hesitant to put any kind of real information about myself on my web page, but realized quickly how wrong that was. The blogs I loved the best had a personal touch, so this is great advice. I’ll put it into work now. I notice the same thing, Katie. When I can really relate to the person behind the blog, it’s much more engaging. And it’s up to you how much, or how little, you choose to reveal. Thanks for the post:) I’ve read several of your other articles, but I’ve learned new things here as well. Thanks for this timely post, Joel. This something I’ve been working on the past few weeks. I’m certain this article is going help me get over the hurdle of writing my About Me page. Colin, it’s a great place to put your knowledge of your readers (or your prospective readers) to use. Good luck with it, and remember, it’s not something you do once and forget, you can always revisit it later.